Founded in May of 2000 in Ridgefield, Connecticut, by Michael Cyger, iSixSigma is a diversified, high-tech B2B media business dedicated to providing essential information, research and how-to knowledge to help businesses and organizations worldwide improve execution. iSixSigma provides the most comprehensive and essential Six Sigma resources available to businesses anywhere. As the world’s leading publisher and content provider for the Six Sigma community, iSixSigma helps hundreds of thousands of monthly readers learn new skills, advance their careers, and contribute to the success of their organizations through a wide range of articles, tools and practitioner forums. More than 70% of the Fortune 100 companies in America are regular readers of iSixSigma. Companies such as Caterpillar, Hewlett-Packard, Bank of America, Singapore Telecommunications, Allied Signal, Xerox, Johnson & Johnson, Ford Motor Company, General Electric, and many more routinely link their private Intranet sites directly to the iSixSigma website so their employees can gain access to its resources. iSixSigma’s brand is recognized and trusted throughout the world. What Does the “i” in iSixSigma Stand For? To help you increase business efficiency by providing engaging, educational and entertaining content. Our publishing focus areas include Lean, Lean Six Sigma, Lean Startup, project management, change management…and a host of other process improvement methodologies. Subject Matter Expertise: We provide the most comprehensive information about Lean Six Sigma worldwide. It is the best source for unbiased content, in large part because the information comes directly from you – Lean Six Sigma leaders and practitioners. Objectivity: We practice what we preach. We look for, and to, data and statistical analysis internally as well as externally. Integrity: We operate with honesty and uprightness. We do not sell advertising disguised as unbiased input. Diversity: We find authors and encourage diversity of thought, strategies and tactics because we know there is not one solution for every problem. Community: We foster an inclusive, worldwide community. iSixSigma.com – has provided the most comprehensive and essential resources available to businesses at every stage of their Lean Six Sigma maturity and professionals at every skill level. Hundreds of thousands of monthly online readers learn new skills, advance their careers and contribute to the success of their organizations through a wide range of articles, blog posts, tools and a discussion forum. iSixSigma Store – is an online store for templates, project examples, research reports, e-books, training materials, e-learning courses and much more – all delivered electronically for immediate download. The iSixSigma Marketplace is dedicated to providing excellence business management products for the business professional, student or instructor. iSixSigma Jobs – is the world’s largest clearing house for job candidates and employers in the Lean Six Sigma industry. It provides job seekers with targeted Lean Six Sigma jobs from leading companies around the world, and employers with a database that includes tens of thousands of resumes from Lean Six Sigma candidates. …and a host of other methodologies. Michael Cyger is an entrepreneur, businessman, investor, speaker and author. He received his business education in corporate America at GE and Citigroup, leadership training at Crotonville (GE’s John F. Welch Leadership Center), and ability to solve problems through formal education in engineering, GE’s prestigious Edison Engineering Program, years of Six Sigma training, and lots of practice. Cyger is a certified Green Belt at GE Power Systems in 1996, served as a Master Black Belt for GE Capital Commercial Equipment Finance, and worked on a Six Sigma deployment at Citigroup. 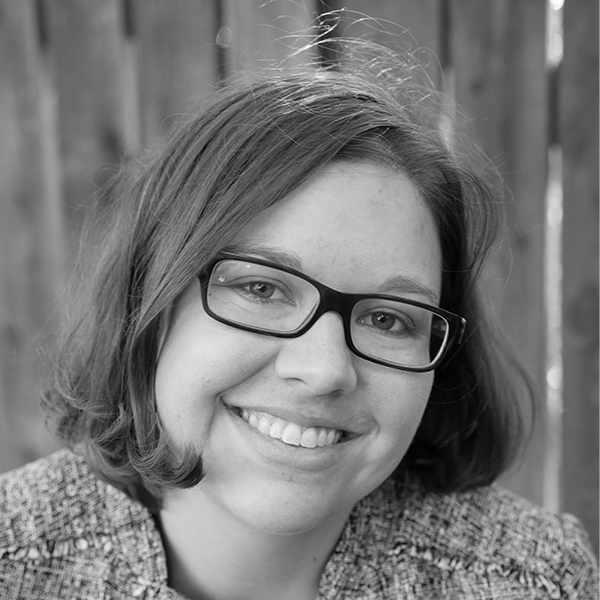 Erin Ducceschi is an award-winning editor who can solve problems and deliver results. She is the founding editor of iSixSigma Magazine where she oversaw growth of paid subscriptions at Fortune 500 organizations to 18,500, and currently oversees the editorial direction of iSixSigma.com. Ducceschi is a certified Black Belt from GE Capital. 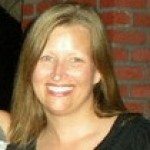 Katie Barry is editor of iSixSigma. Barry began her tenure with the iSixSigma family as editor of Real Innovation and The TRIZ Journal. Previously, Barry held editorial positions at Fenwick Publishing Group Inc. and AMN Healthcare Inc. She also worked at the Children’s Defense Fund and served in the correspondence office of First Lady Hillary Rodham Clinton at the White House. Barry is Yellow Belt trained. iSixSigma publishes content that educates, informs and inspires individuals to improve the efficiency and effectiveness of their organizations. We accomplish this with the assistance of trusted leaders within the industry: our Editorial Advisory Board. The iSixSigma Editorial Advisory Board is comprised of distinguished leaders from business, the process improvement industry, and academia. Nicole is the Director of Operational Excellence at Dartmouth-Hitchcock Medical Center in New Hampshire. Nicole oversees the Performance Improvement Team, the Project Management Office and the Value Institute Learning Center which provides Lean Six Sigma training to staff. Nicole received her B.A. in Chemistry and Music from Emory University and her M.H.A in Healthcare Administration from the University of Minnesota’s School of Public Health. Nicole received her Lean Six Sigma Blackbelt training from The Thayer School of Engineering at Dartmouth College and her Lean Six Sigma Blackbelt certification from The Value Institute at Dartmouth-Hitchcock. Nicole received her Lean Six Sigma Master Blackbelt from The Ohio State University Fisher College of Business and Moresteam.com. Nicole is also a Certified Professional in Healthcare Quality (CPHQ) from the National Association of Healthcare Quality (NAHQ). 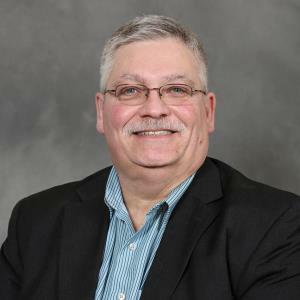 Carl’s certifications include Master Black Belt, Robust Engineering Coach, Design for Six Sigma Master Black Belt, Shainin Journeyman and Mayo Clinic Gold Quality Fellow. His experience spans consumer electronics, automotive electronics, automotive vehicle engineering, healthcare and heavy manufacturing. He has extensive experience in process and product continuous improvement. In his current role, Carl is responsible for bringing new and innovative ideas to drive the strategic development, deployment and continuous improvement of processes with the end goal of increased business capabilities, customer satisfaction and quality. He trains, coaches and mentors the future of operational excellence while simultaneously contributing to the greater body of shared knowledge including best practices, innovative solutions and efficient strategies. He has published papers on the topics of Six Sigma, Design for Six Sigma and Robust Engineering. 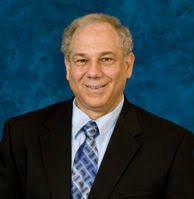 Eric Maass is Senior Director for DRM (DFSS) for Medtronic Restorative Therapy Group. Eric is responsible for developing and leading the DRM strategic plan and focus for most of the company, and has been the chief architect for Medtronic’s DRM BB and MBB programs. Eric was recognized with Medtronic’s individual Star of Excellence award for 2012 and as a Technical Fellow. Eric joined Medtronic in October 2009, after 30 years with Motorola in roles ranging from Research and Development through Manufacturing, to Director of Operations for a $160 million business and Director of Design and Systems Engineering for the Wireless group of Motorola SPS (now Freescale Semiconductor). Eric was a co-founder of the Six Sigma methods at Motorola, and had been the Lead Master Black Belt for DFSS at Motorola. His book, Applying DFSS to Software and Hardware Systems, provides clear step-by-step guidance on applying DFSS for developing innovative and compelling new products and technologies, while managing the business, schedule and technical risks. Eric received his Bachelor’s degree in Biological Sciences from the University of Maryland Baltimore County, his Master’s degree in Biomedical Engineering from Arizona State University and his PhD in Industrial and Systems Engineering from Arizona State University. He is currently an Adjunct Professor at Arizona State University. 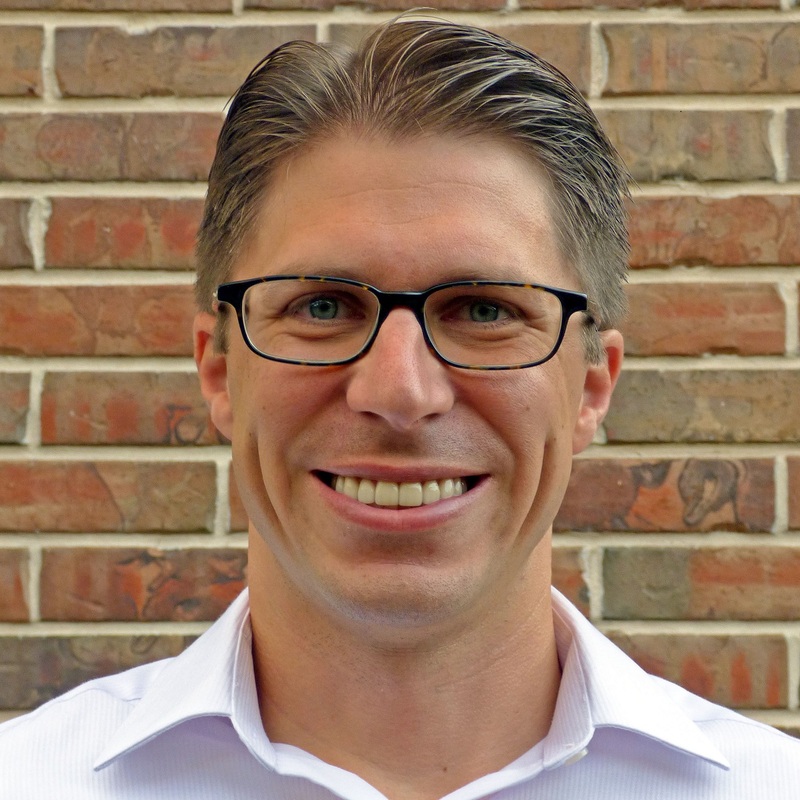 Joel Smith is director of Continuous Improvement and a Master Black Belt with Keurig Dr Pepper Inc., where he leads teams to pursue excellence through customer-focused, data-driven decision-making. Prior to joining the company in 2016, he spent over a decade with Minitab Inc. in a variety roles where he trained and advised numerous improvement professionals in addition to regular speaking engagements. He co-authored the Applied Statistics Manual, and writes the Random Thoughts column for Six Sigma Forum magazine. Joel has twice chaired the Lean and Six Sigma World Conference and has chaired the ASQ Statistics Division in addition to currently chairing ASQ’s Hunter Award committee. He graduated with a bachelor’s degree in chemical engineering from Rose-Hulman Institute of Technology and a master’s degree in statistics from Virginia Tech. He resides in Prosper, Texas, with his wife Silvana and their two children. May: In two weeks between leaving Citigroup and returning back to GE, Michael Cyger works non-stop to launch iSixSigma as a portal to openly publish content and allow business professionals to share and learn from each other. He worked every evening after his day job and one full day a weekend adding resources and programming the website to better serve the Lean Six Sigma community. May: With the community growing rapidly, Michael Cyger took a leap of faith by quitting the security of his job at GE to devote himself to the fledgling enterprise, just months before the birth of his first child. February: iSixSigma enters into a partnership with GE Healthcare to launch iSixSigma Healthcare, serving the needs of medical and healthcare professionals. March: iSixSigma enters into a partnership with Six Sigma Advantage to launch iSixSigma Software/IT, serving the needs of information technology and software development professionals. July: iSixSigma launches the iSixSigma Job Shop to connect employers and job seekers with Lean Six Sigma opportunities. February: iSixSigma enters into a partnership with George Group and DeLeeuw Associates to launch iSixSigma Financial Services, serving the needs of the financial services industry. May: iSixSigma enters into a partnership with Valeocon Management Consulting to launch iSixSigma Europe, serving the needs of European professionals in their implementation of Lean Six Sigma. August: iSixSigma Job Shop launches full-service recruiting. January: iSixSigma launches iSixSigma Magazine, the premier print magazine dedicated to Lean Six Sigma professionals. iSixSigma Magazine had secured 1,000 paid subscriptions before going to press in December, 2004. September: iSixSigma launches a research division and acquires SixSigmaCompanies.com, which becomes the foundation of the iSixSigma Blogosphere. March: iSixSigma Magazine redesigns and relaunches website. March: iSixSigma Magazine offers digital edition, serving corporations with entire-company access via IP address and single sign-on. July: iSixSigma launches the iSixSigma Marketplace to fulfill the need for practitioner templates, training materials and productivity tools. February: iSixSigma.com, along with parent company CTQ Media, are sold to Ideal Media LLC, a division of London-based Schofield Media Group. May: iSixSigma Live!, the in-person conference and event division of iSixSigma, is launched and hosts first social networking event in Seattle, Washington. More than 130 Lean Six Sigma and continuous improvement professionals showed up to network and socialize. October: iSixSigma Live! produces the first U.S. Department of Defense CPI/Performance Symposium for 300+ invitation-only delegates, a number that would grow to 700+ in subsequent years. January: iSixSigma Live! hosts the premiere iSixSigma Live! Summit & Awards in Miami, Florida. Feb: iSixSigma Job Shop, Marketplace, Magazine and Live! websites are completely redesigned, including information architecture, site design, and a suite of highly customized content management tools. July: The parent company of iSixSigma loses funding as a result of the struggling American economy and the business shuts down. The website would “go dark” a month later after vendors go unpaid. November: iSixSigma founder, Michael Cyger, bids and wins auction to purchase distressed assets, intellectual property and content of iSixSigma, promising rebirth of iSixSigma.com. January: iSixSigma relaunches (version 4) with a new look at feel, improved social media functionality, the addition of video content and a re-commitment to creating the strongest and largest community of Lean Six Sigma professionals in the world. November: iSixSigma launches (version 5) with a fully responsive website that combines iSixSigma, iSixSigma Jobs and the iSixSigma Store (rebranded from the iSixSigma Marketplace) into a single website (previously it was three separate websites) — as we prepare for our 20th year of operation in 2019. It stands for Internet, the original publishing medium of iSixSigma. It represents the information about Lean Six Sigma that can be found on iSixSigma.